While the overall market for tea in the UK has declined by some 12% over the past five years, iced tea consumption is on the rise. Annette Sessions reports on the potential for iced tea in the UK and looks at this category in other major markets. It is ironic that the one soft drink that has struggled to be accepted by the UK consumer, iced tea, was developed by an Englishman. At the 1904 World Trade Fair in St Louis, demand for cold drinks in the extreme heat led Richard Blechynden to pour tea into glasses filled with ice cubes. The rest, as far as the US is concerned, at least, is history. In the UK, it has been a different story, with the average Briton reluctant to give up the traditional 'cuppa'. However, with the news this month that Coca-Cola Enterprises and Nestle SA are to launch Nestea in the UK, all could be about to change. In fact, research from consultants, Canadean, shows that UK sales of cold teas grew from 1m litres in 2000 to 14m in 2004. Growth of 20% year-on-year is forecast. Norman Brodie, marketing director at Coca-Cola Enterprises, believes there is great, untapped potential in the iced tea market in the UK. "We have developed a unique and distinctive proposition for Nestea, based on our understanding of British consumers and we believe that this will enable us to stand out in this dynamic sector." The drink, a blend of tea and fruit extracts, comes in two flavours, Lemon and Red Fruits; both have no added preservatives or colours and come in 500ml and 1.5 litre PET bottles. In the US, more than 80% of all tea consumed is served as iced tea. Here new product development centres round functionality - promoting the health-giving antioxidant properties of tea. Indeed, an antioxidant logo has been devised for the new formula and packaging of Lipton Original and New Lipton Iced Tea from the Pepsi-Lipton Tea partnership. 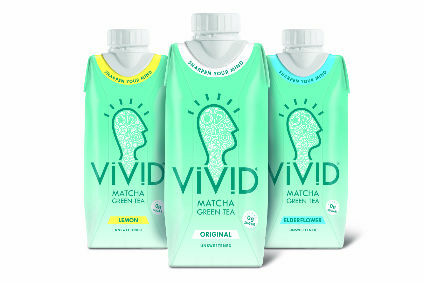 "The naturally occurring better for you benefits of tea are now being validated through science," said Craig Coffey, vice president and general manager of the partnership, "Today's health and wellness trends have meant dozens of new beverage choices for consumers and this new line-up gives them a reason to reconsider ready to drink tea as a smart choice." Lipton Original claims to be the only nationally-distributed iced tea brand in the US that is made with fresh-brewed tea. The reformulated Lipton Original range now has less sugar and a new Diet Sweet version has been added to the line-up which comprises Sweetened, Unsweetened, Lemon, Extra Sweet, Raspberry, Green Tea with Honey, Diet Lemon and Peach. Meanwhile, New Lipton Iced Tea comes in four flavours: Lemon, Diet with Lemon, Green Tea with Citrus, and Diet Green tea with Citrus. However, according to Canadean, it is Asia which holds the lion's share of global consumption. Japan and China are the main contributors and between them share a little under 75% of the market. Within Asia, per capita consumption varies tremendously with, for example, the Japanese drinking 130 times more than the Vietnamese. Japan's per capita consumption is the highest of any nation worldwide; recent growth has been led by green and oolong teas. Coca-Cola Japan has announced that its most important new product for 2005 is a green tea. Called Hajime, it is aimed at consumers in their teens to fifties with a particular focus on those in between. Hajime is, says Coca-Cola Japan, a return to "the origins of green tea, with a flavour straight from the tea plantation" that tea growers themselves enjoy. Tea leaves are heated just enough to bring out the ingredients' natural flavours. Although lemon remains the best selling flavour within the category, green tea is the most dynamic, with consumption now 20 times greater than in 1998. Its much publicised health benefits as a powerful antioxidant are a great attraction to those developing new tea drinks. In Singapore, Coca-Cola's Heaven and Earth green tea range has been extended by the addition of Heaven and Earth Catechin Plus containing 50% more catechins, antioxidants credited with a variety of healthy attributes including lowering cholesterol and helping achieve weight loss, than most green teas. From South Africa Rooibos is another tea ingredient to watch. Indigenous to the country, the Rooibos bush is grown only in a small area 250km north of Cape Town in the Cedarberg area. Caffeine-free and low in tannin, it is said to have natural healing properties in fighting allergies and a variety of ailments. Rooibos has helped boost the iced tea category in South Africa and is now being seen elsewhere. In France, Lipton Ice Tea has introduced a new red version which contains a mix of tea, rooibos, and guarana, whilst the Mangajo Drinks Company in the UK has a Rooibos variant in its range of iced tea and herbal drinks. Honey and pomegranate, too, are being seen in this year's new iced tea drinks. 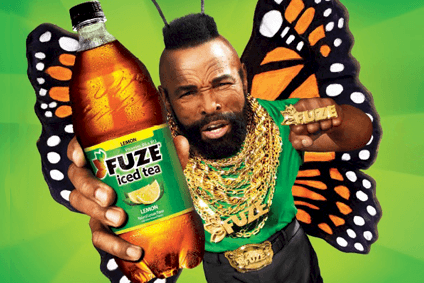 For example, US beverage company AriZona has launched its Pomegranate Green Tea into the UK, and in Hong Kong Nestea has successfully introduced Honey Pear Tea and Honey Citron Tea.